Want to be notified of new releases in flavio-fernandes/rdo-nodes? This repo provides a Vagrantfile with provisioning that one can use to easily get a cluster of nodes configured with RDO Packstack. More info on using repository is available here. Once you finish vagrant up, consider using Vagrant Sahara so you do not have to wait long in order to get a clean set of openstack nodes. 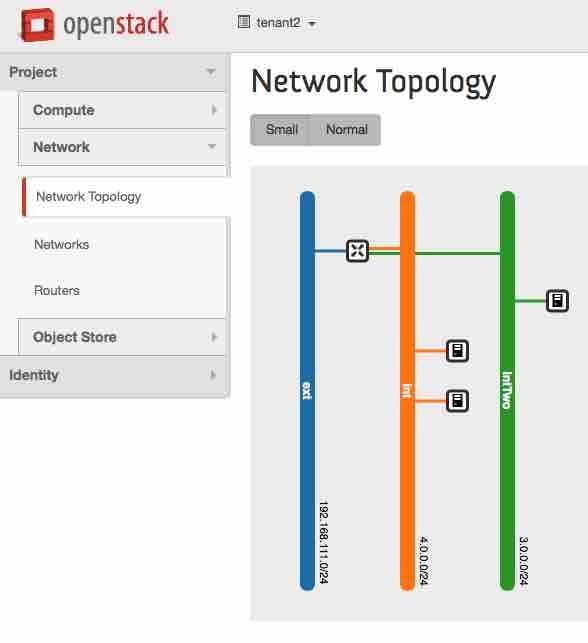 The checked in configuration uses an internal network as the 'shared subnet' by which the provider of the openstack would give access to the outside world. If you would like to connect that internal network to your real outside network, consider using Router Node, which would give you a NAT router to play with. That is what I use and tested to ensure a clean integration. After 'vagrant up' is done, you will have at least 3 nodes: control, neutron and compute-1. They will be running Centos 7 and be up to date. In my setup, it took about 20 minutes to have that provisioned. openstack_part0.sh: install openstack-packstack package and run packstack, using the file in /root/answers.txt. This step may take ~20 minutes. Like mentioned before, more info on using repository is available here.